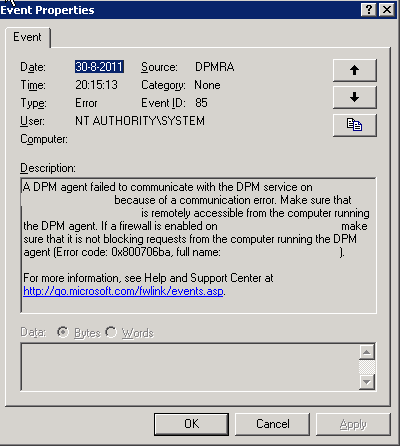 DPM DCOM was unable to communicate with the computer <servername> using any of the configured protocols or A DPM agent failed to communicate with the DPM service on <servername> because of a communication error. DCOM was unable to communicate with the computer <servername> using any of the configured protocols. A DPM agent failed to communicate with the DPM service on <servername>because of a communication error. 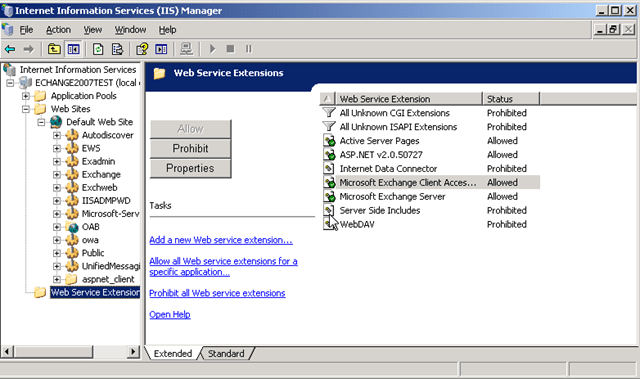 Make sure that <servername> is remotely accessible from the computer running the DPM agent. If a firewall is enabled on <servername>, make sure that it is not blocking requests from the computer running the DPM agent (Error code: 0x800706ba, full name: <servername>). 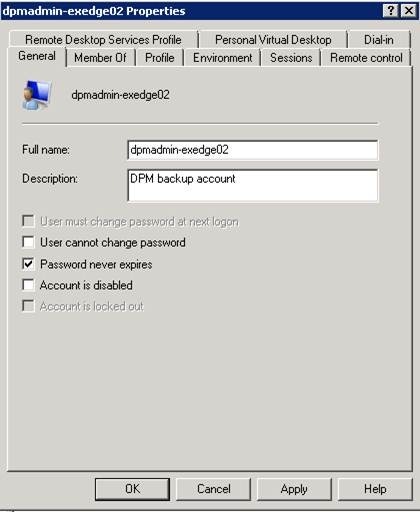 Posted on October 25, 2011 Categories Microsoft, System CenterTags Windows, Windows 2003, Windows 2008, Windows 2008 R2Leave a comment on DPM DCOM was unable to communicate with the computer <servername> using any of the configured protocols or A DPM agent failed to communicate with the DPM service on <servername> because of a communication error. 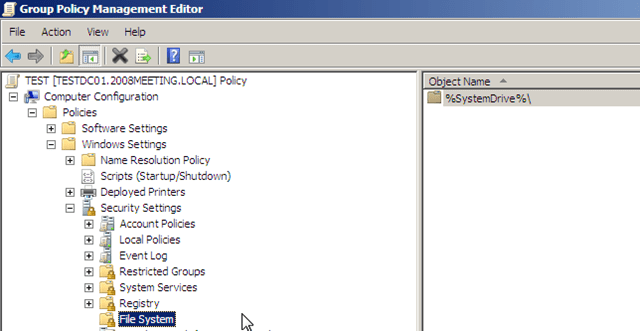 I get this error on a Windows 2003 R2 x64 machine when I wanted to use the Group Policy Management Console. 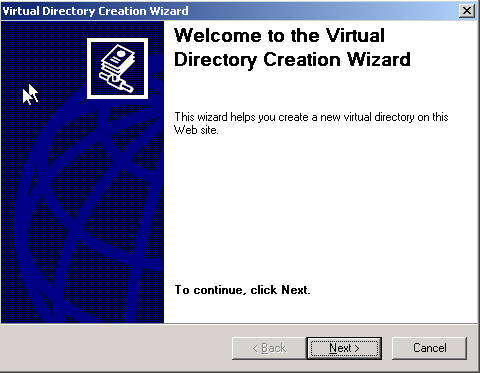 Right-click the default Web site, point to New, and then click Virtual Directory. 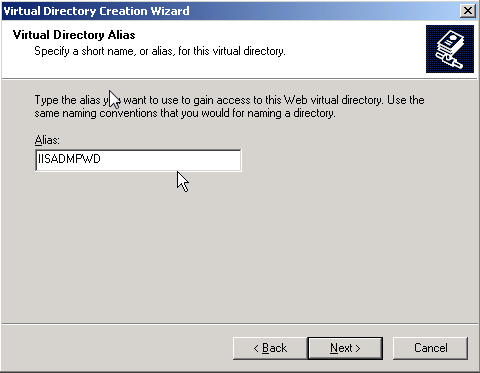 In the Virtual Directory Creation wizard, type IISADMPWD in the Alias box, and then click Next. 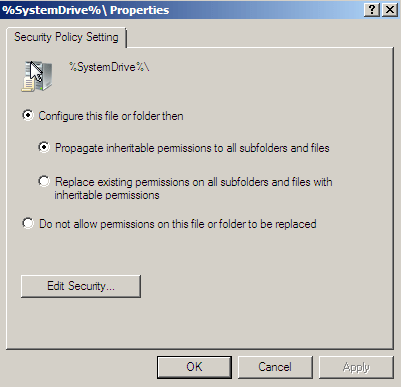 In the Directory box, type c:\windows\system32\inetsrv\iisadmpwd or the location where your hard disk is your default hard disk, and then click Next. 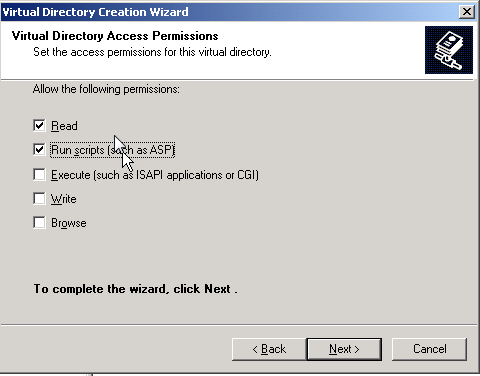 Verify that only the Read and Run script check boxes are selected, such as the ASP check box, click Next, and then click Finish. 0: This is the default value. This value indicates that you must use a Secure Sockets Layer (SSL) connection when you change the password. 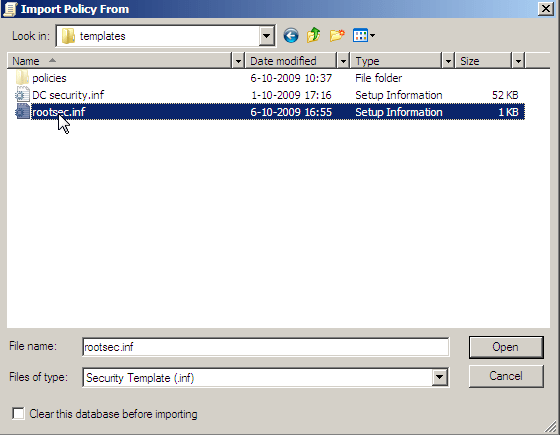 1: This value permits password changes on non-secure ports. This value is useful if SSL is not enabled. 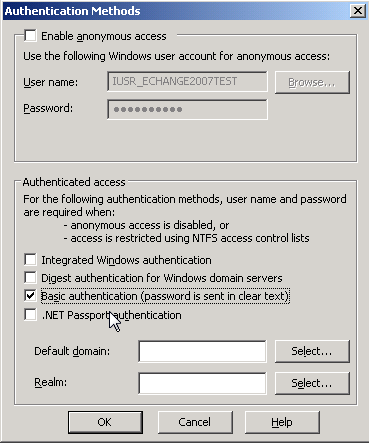 2: This value disables the Password Change functionality. 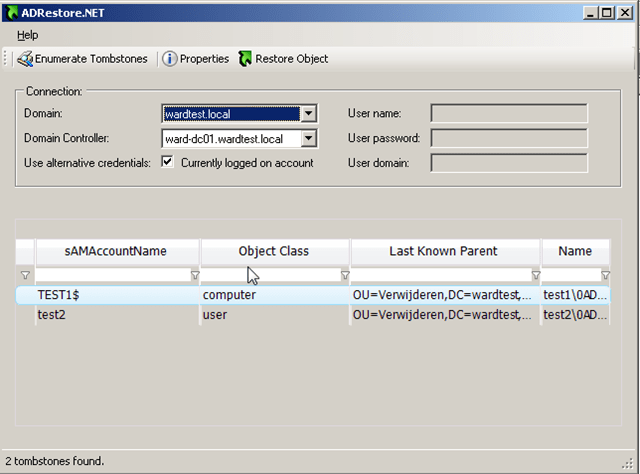 4: This value disables the advance notification of password expiration. 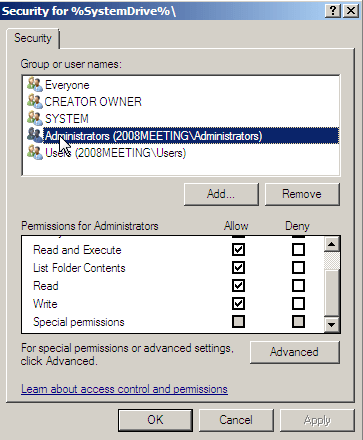 Do not forget to enable Active Server Pages. 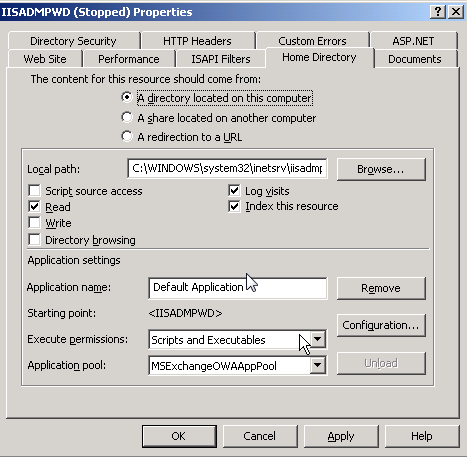 The Microsoft Assessment and Planning (MAP) Toolkit is an agentless toolkit that finds computers on a network and performs a detailed inventory of the computers using Windows Management Instrumentation (WMI) and the Remote Registry Service. 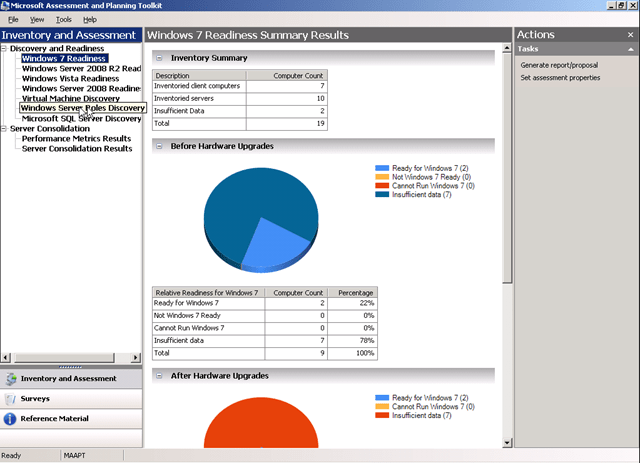 The data and analysis provided by this toolkit can significantly simplify the planning process for migrating to Windows® 7, Windows Vista®, Microsoft Office 2007, Windows Server® 2008 R2, Windows Server 2008, Hyper-V, Microsoft Application Virtualization, Microsoft SQL Server 2008, and Forefront® Client Security and Network Access Protection. 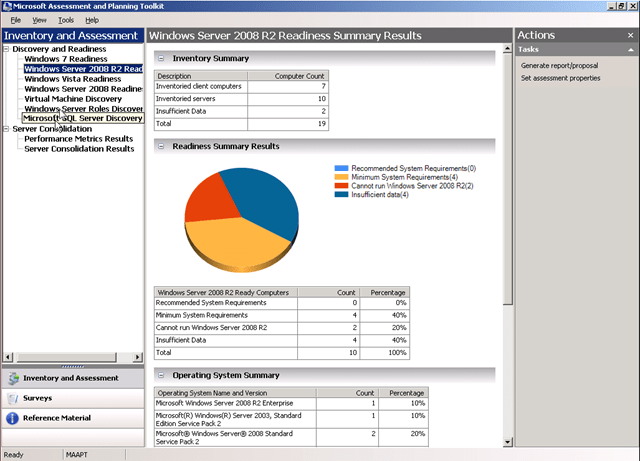 Assessments for Windows Server 2008 R2, Windows Server 2008, Windows 7, and Windows Vista include device driver availability as well as recommendations for hardware upgrades. – Identification of currently installed Windows client operating systems, their hardware, and recommendations for migration to Windows 7 and Windows Vista. The tool also reports if desktops have anti-virus and anti-malware programs installed and if the Windows Firewall is turned on. 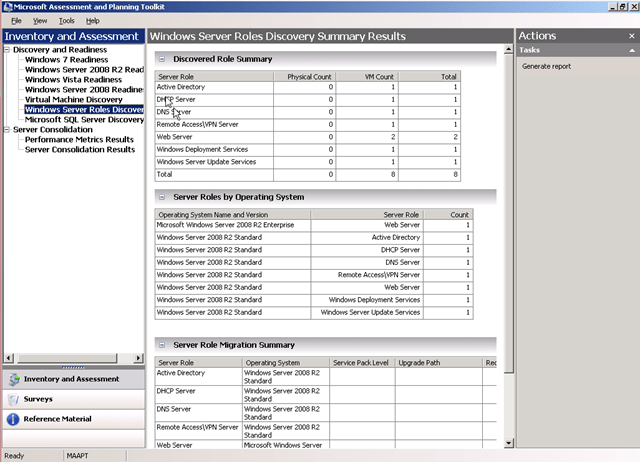 – Identification of currently installed Windows Server operating systems, their hardware, and recommendations for migration to Windows Server 2008 R2 and Windows Server 2008. 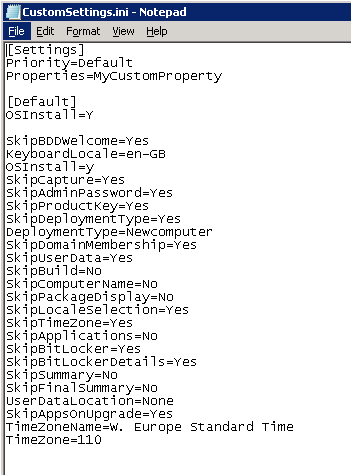 – Identification of currently installed Microsoft Office software and recommendations for migration to Microsoft Office 2007. 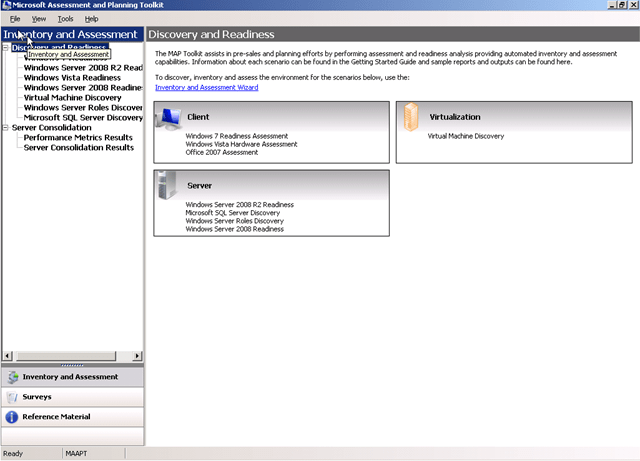 – Detailed assessment and reporting of server utilization gathered using the Performance Metrics Wizard. 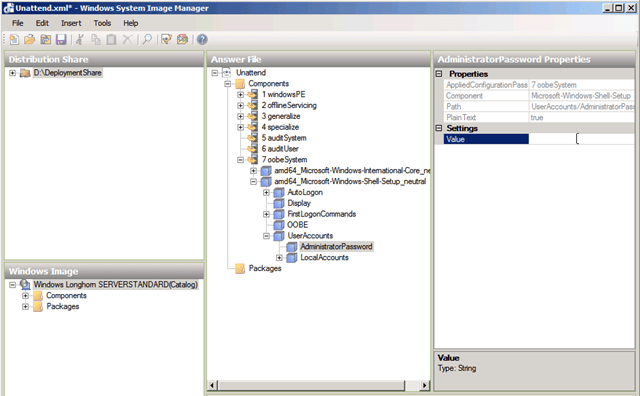 – Identification of machines where Microsoft SQL Server components are installed. 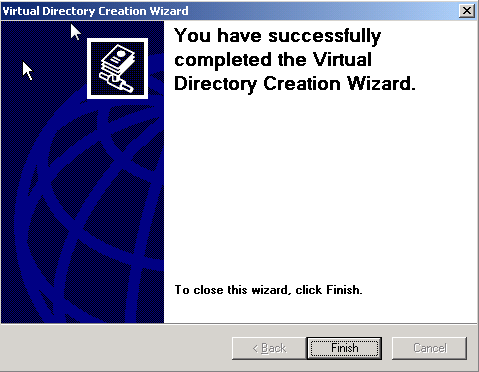 – Identification of virtual machines, their hosts, and details about each. Nadat een Windows 2003 Machine uitgerold is met MDT staan de rechten anders dan met een CD installatie. Maak een nieuwe GPO aan. 10. Zie hier het overzicht met de juiste rechten. Pas deze alleen toe op Windows 2003 Servers. Het kan zijn dat XP werkstations hier ook last van hebben. 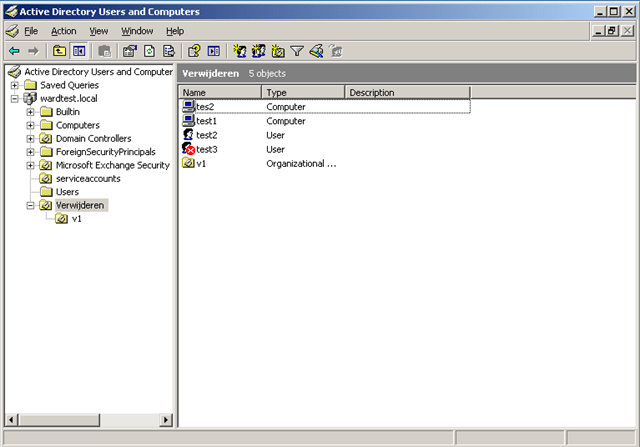 Als test heb ik een Windows 2003 R2 domein controller gebruikt. Ik heb hier voor 2 test gebruikers & 2 computers aangemaakt en deze heb ik verschillende instellingen mee gegeven. Een computer is bijvoorbeeld pre Windows 2000. En een gebruiker heb ik lid gemaakt van domain admins. 1. Verwijder per ongeluk een gebruiker & computer die je net hebt aangemaakt… OEPS!!!!!! 2. Installeren daar ga ik het niet over hebben want dat is Next Next Finish. 6. Als je op properties klikt dan krijg je de gegevens te zien. 7. 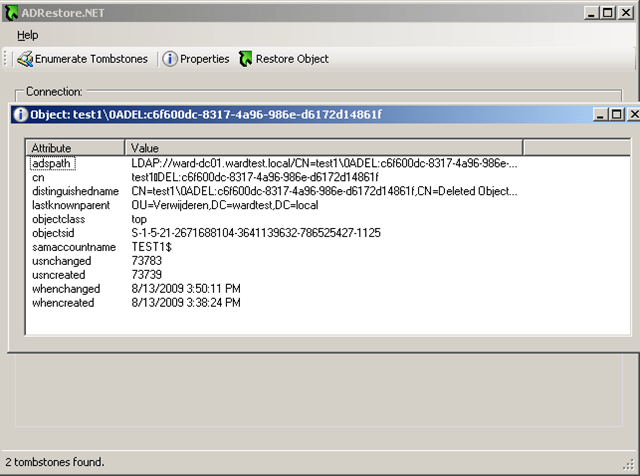 Vervolgens is het heel simpel om een object terug te zetten door middel van Restore Object. Op het moment dat je een Organizational Unit hebt verwijderd. Moet je eerst de Organizational Unit terug restoren voordat je het Object(Gebruiker, Computer) kunt restoren. 8. Het object is terug gezet. Wanneer je een Terminal Server omgeving hebt, wilt je dat automatisch de domein naam wordt in gevuld ipv WARD-TS01. Gebruikers moeten dit anders handmatig veranderen naar de domein naam. Voeg een nieuwe string value toe genaamd DefaultDomainName en geef als waarde je Domeinnaam. 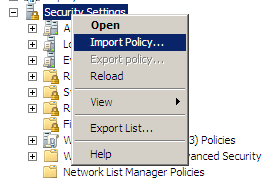 In Windows Server 2008 is deze instelling opgenomen in de Group Policy Object. Hier moet je domeinnaam invullen. Dit is een stuk handiger als steeds te klikken. Posted on August 6, 2009 October 2, 2009 Categories WSUSTags MDT, MDT 2008, MDT 2010, Microsoft, Powerfuse, Server 2003, Tools, Windows, Windows 2003, Wisdom, WSUS2 Comments on MDT automatisch windows updates via WSUS laten installeren tijdens het deployen van het OS.